Dr. Brown and staff are the most caring, professional people I’ve ever met. I’ve never gone to a chiropractor before and I was pretty skeptical to go to one. I didn’t think it would work for me. I’m only 20 years old and all of sudden I got this sharp, unbearable pain in my lower back. It would radiate down into my left toe and was so bad I could hardly sleep at night without moaning in pain. I went to the doctor and they didn’t help me at all. I waited it out for a week and decided I had to go to the chiropractor. Right when I got there Dr. Brown and his staff were very inviting. They were super friendly and listened to everything I had to say. After only two days of treatment, I had forgotten about the back pain that was keeping me from doing daily activities for two and a half weeks. I am now pain free and on my way to a successful recovery! – Ian T.
After having twins, my back, right shoulder, and neck needed some severe help – I was in a lot of pain. A friend referred me to Dr. Brown. His staff are among the nicest I have ever met. They remember you, get to know you on a personal level, and cater to every need you may have. Dr Brown is a fantastic chiropractor. In a few visits he has put me back together. He gets to know you on a friendly basis, answers all questions in a manner non-medical people can understand, and truly cares about your well being and health. I am so pleased with the care I have received from them. – Lindsey D.
Big kudos to Dr. Brown and his staff at Elite Chiropractic & Rehab. Never having visited a chiropractor before, I was a bit skeptical about the work they might be able to do on my nagging back pain. I’m only a few appointments in, but so far Dr. Brown and his staff have exceeded my expectations, and I am now started on a path toward recovery under his care. They are friendly, understanding, and more than accommodating. Just hours before a long flight, I experienced sudden back pain and knew his office would be closed, according to the practice’s hours. I figured it was worth a shot, so I called the office anyway. To my surprise, Debbie (one of Dr. Brown’s staff) answered the phone immediately. She was able to arrange for Dr. Brown to meet me at his office in less than 30 minutes. He helped alleviate my pain, and arguably saved my vacation – talk about REMARKABLE…thanks, Elite Chiropractic & Rehab, for providing care worthy of your name. – Eric J. Being a relative newcomer to the area, I’ve been forced to seek help from the wise and powerful webmaster (pay no attention to the man behind the curtain) when seeking any kind of service. So far, it’s worked out quite well and it didn’t disappoint when it came to finding some chiropractic help. Enter Elite Chiropractic & Rehab. Dr. Brown and his staff are nothing short of top notch professionals who are still able to keep things light in the office which creates a great atmosphere that is highly conducive to patient comfort and ease. My story is a long one, but for the purpose of maintaining an audience to get through this review, I’ll post the Reader’s Digest version. Due to an injury some 15 plus years ago, I’ve been hampered by a back that doesn’t cooperate like it should. My mornings start by getting out of bed with my torso at about a thirty degree angle from my feet, giving me that Neanderthal look that is so appealing on any person. From this position, I slither to the floor and proceed to do 10 -15 minutes of stretching that allows me to proceed through my day standing upright as nature intended. While it may seem to be somewhat of a hassle to start every day like that, I’ve gotten used to it and it’s become routine. That’s not a routine one should EVER get used to! As the back worsened, so did my quality of life. It was time to seek relief, so the web led me to Elite Chiropractic & Rehab. In keeping with my promise of making this the condensed story of my back misery, I’ll state that since the completion of the first 8 sessions with Dr. Brown, my stretching routine is no longer a staple of my morning routine. I am now able to get out of bed and stand up in a normal fashion without the need to stretch first. While that may not sound like much, consider it’s been 15 plus years since I’ve been able to do just that! I’ve completed 14 appointments with Elite and the pain continues to lessen and movement is become less of a struggle. Quality of life is a wonderful thing and I’m enjoying just that. In closing, if you’re like me and aren’t a big fan of pills or surgery, you owe it to yourself to look into a natural way of healing. You need to look into chiropractic. Check out Elite Chiropractic & Rehab. This place KNOWS what it’s doing! Dr. Brown, thank you for getting me back to a life I can enjoy and I know it will soon be pain free. – John H.
Dr. Brown has help my back in so many ways. I have gone in there completely unable to move and when I left I could touch the ground flat handed. 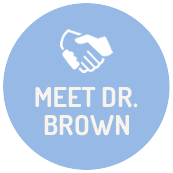 – Jason M.
I started seeing Dr. Brown after a roll over car accident. I wanted someone that was familiar with the activator method because I was hesitant about a traditional adjustment. When I walked into the office for the first time I was welcomed by all the staff and made to feel at home. I was impressed with the different methods that Dr. Brown used and how he explained how and why he believed each would benefit my recovery. I was very impressed with the thorough explanation then the relief and results! I truly believe I have gotten as far as I have in my recovery because of the combination of activator method, traditional adjustment, electro stimulation with heat/ice, and the graston method. I set out to find a good Chiropractor, I found so much more! – Amy D.
My experience at ECR has been nothing shy of wonderful. I suffered from constant headaches/migranes for years. I have tried just about everything in the book in terms of relief. My roommate recommended that I try a chiropractor to see if that could help and she recommended me to ECR. Since my first visit I have felt very welcomed. Dr. Brown really cares about his clients and seemed very dedicated to help me get rid of my headaches. I have been getting adjustments for 2 months now and am very happy with the results. I now rarely get headaches, and when I do they are so mild in comparison. I am very happy I made the decision to try chiropractic care and couldn’t ask for anything more from ECR. All of the staff there is very friendly and welcoming. They really take the time to get to know their patients and for me that is a refreshing quality. If you are considering chiropractics, ECR is the one! – Courtney C.
I’ve been going to Elite Chiropractic for about 9 months and absolutely love the staff and Dr. Brown. I began to go after my headaches came back more frequently. They offer a variety of techniques that is suitable for anyone. Dr. Brown always shows concern for each of his patients and always makes sure he’s gotten all the kinks worked out before you walk out the door. The office schedule is very flexible and they are always willing to work you in. I will say, my headaches have decreased significantly from when I began going. – Cristina G.
The staff at Elite Chiropractic is so friendly! Dr. Brown is always able to help ease my back and neck pain. I have been going to Elite Chiropractic for over a year and have always left happy! – Ashleigh T.
I went to Dr. Brown with severe neck and shoulder pain that had persisted for 5 years and I had gone to the point where I had forgotten how it felt to be pain free! In six weeks I was cured one hundred percent and feel light and easy everyday. I’m able to sleep well and wake up refreshed to tackle my teenager and my 5 year-old.Dr. Brown’s varied techniques gave me options to choose what worked best for me and every single session with him was conducted with absolute result-oriented expertise. His staff members Heather and Katy were very friendly and made my time there comfortable and assisted me in every way possible. My 62 year-old mother who lives in India was almost crippled to the point where she couldn’t walk unassisted or even lift a cup of water with her hands or even comb her hair. I flew her down to Bloomington with unwavering faith that Dr. Brown would do his very best to restore her to better health and five weeks later, she walks unassisted, not to mention that she cooks up a storm and is able to lift more than 10 lbs and goes about life with ease and confidence. The team at Elite Chiropractic and Rehab are like family to us now and my mother who is not well versed in English always says that Dr. Brown has “healing hands” and wonders what life would have been without him and his team. We feel honored to write this review for the remarkable difference that Dr. Brown and his team brought to our better health and quality of life overall. Cheers to all of you at Elite Chiropractic and Rehab, you are the very best. – Lavanya K.
Dr. Robert Brown is more than just a chiropractor. He’s a real person that sincerely cares about the health of his customers. One of his greatest gifts is how he relates to his customers and the bond he creates. He is able to connect with a patient and then educate on the process to better health. His methods of adjustment have proved to be incredibly pain free as well as unbelievably quick in relieving mild and severe back pains. I’m always amazed at how he can take me from nearly crippled over with pain to ready to do jumping jacks! I can’t speak highly enough of his talents as well as the efficiency and comfort of his practice overall. – Robert M.
Talk about family!! Dr. Brown and his crew make us feel right at home. Interaction between the patients makes rehab a comfortable and enjoyable experience. I had such bad shoulder pain that I could not get any sleep. Physicians prescribed muscle relaxants that gave me no real relief. By the 3rd visit I was able to sleep through the night for the first time in AGES. By the 5th visit I no longer recognized that my shoulder was there! I really like the “Activator” method that Dr. Brown practices. It is a very relaxing treatment that leaves me comfortable even between treatments. Thank-you, Dr. Brown, Katie and Heather! You all work together very well to help us feel better, and all do AN AMAZING JOB!! – Darin S.
I have been receiving chiropractic care from Dr. Brown and his staff for a couple months now. I was first introduced to them when they were providing free massages in the Bone Student Center for Illinois State students. They were very friendly and eager to help with my health issues (neck & back pain). Results were instant with my first adjustment. Along with chiropractic adjustments, I was also prescribed a personalized rehab program to help speed up recovery/healing. My rehab program is thorough yet efficient and easily fits into my hectic college schedule. Dr. Brown also specializes in several different chiropractic techniques, which accommodates for those who prefer one technique over the other. I highly recommend Elite Chiropractic and Rehab for your chiropractic needs, they really take the time to focus on you as a person and what service you need to return to a healthy lifestyle. – Jamie G.